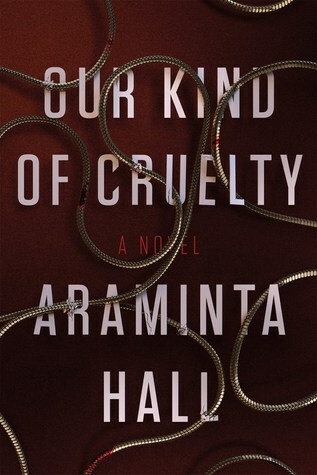 While reading Our Kind of Cruelty I kept having flashbacks to similar books I've read about unhinged men in and out of relationships. Although I did feel that dark inkling of a similarity to You by Caroline Kepnes, I never really found myself comparing the two. I also thought that Mike's character was incredibly different from anything I've ever read and I almost felt sympathy for him by the end of the novel. I don't really know how to explain the complexity of the characters in this novel because I feel like I'm still shaking my head and trying to work it out. I loved the gritty and dark details that Hall included and it really gave the story an extra edge. It was disturbing and suspenseful from start to finish and I had a hard time guessing what Mike would do next. His unpredictable nature really added to the plot of the book. 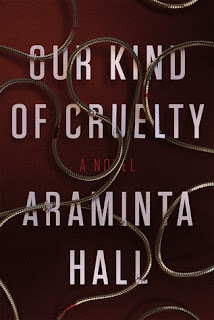 I thoroughly enjoyed this story and I also loved how it kept me guessing while I was reading and still reeling long after the story was finished. I would highly recommend this to readers who enjoyed You by Caroline Kepnes and Perfect Days by Raphael Montes. Thank you to NetGalley and MCD/FSG for sending this novel in exchange for an honest review.